DAVID LE/Staff photo. 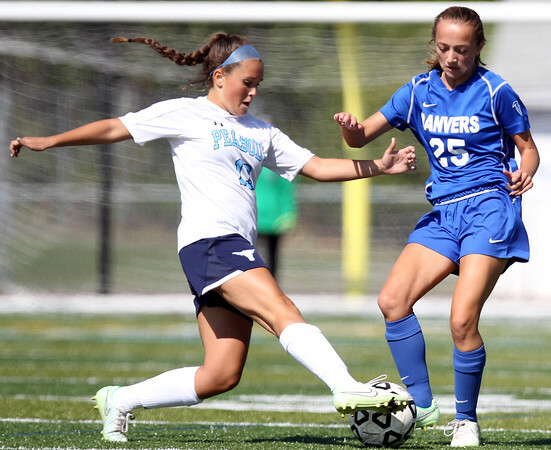 Peabody's Kirsten Bradley (13) tries to poke the ball around Danvers sophomore Becky Henion (25). 9/19/15.